Ladakh is well-known as a biker’s paradise. Wriggling through cold deserts, colder rivers and rarefied air, bikers are challenged every moment by the tough undulating Himalayan terrain. The landscape changes every fifty odd kilometres from complete barren to snow-capped to high-altitude lakes. 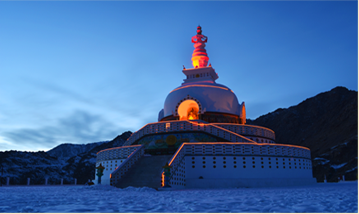 The breath-taking views are also speckled with cultural delights like Buddhist monasteries and quaint mountain villages. At Frozen Himalayas we make this a memorable journey for you. You camp under the desert stars or enjoy the comfort of Ladakhi family guesthouses. After each day of exciting adventure they provide perfect rest to tired bones and machines. This itinerery is desigined for bikiers who doesn't want to ride through the traffic of cities like Delhi, jammu, srinagar and manali highways. One can just fly to ladakh and rest frozenhimalayas will take care off. Your ride of the life is just a click away..
High passes, snow trails, crazy friends, real adventure! 1-800-gambler.org teen gambling council on compulsive gambling of nj, inc.
1-800-gambler.org http://www.800gambler.org/ council on compulsive gambling of nj, inc.
1-800-gambler.org council on compulsive gambling of new jersey (ccgnj) council on compulsive gambling of nj, inc.
1-800-gambler.org gambling council on compulsive gambling of nj, inc.